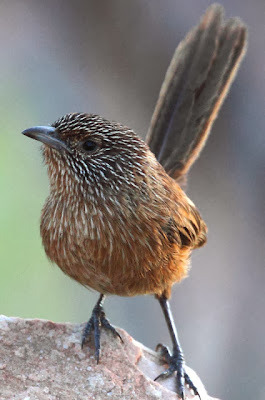 Dusky grasswren Amytornis purnelli, from Christopher Watson. The Meliphagoidea is a clade of birds found in the Australasian region, supported by molecular analysis. The clade includes the honeyeaters (Meliphagidae), fairy wrens (Maluridae), pardalotes (Pardalotus), Australasian warblers (Acanthizidae) and bristlebirds (Dasyornis).